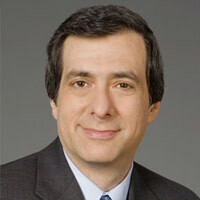 Howard Kurtz on what the New Jersey governor's decision means for the race. The hard-charging governor challenged what he called “wild reporting” that family members were opposed to a presidential campaign. He said his kids were supportive and his wife, Mary Pat, woke up him at 6 one morning and said, “If you want to run, go for it.” Christie made the final decision last night. Had he changed his mind, Christie undoubtedly would have shaken up the contest. But he spent the last year telling anyone who would listen that he felt in his heart he wasn’t ready to be president—although many journalists refused to take no for an answer. When Christie agreed to rethink his refusal to make the race, he triggered a huge wave of coverage--along with a sideshow debate about his considerable weight. But it was never likely that he would change his mind and be forced to swallow all those “not ready” remarks that would play in an endless video loop. With a blunt, in-your-face style that supporters loved and opponents found downright rude, Christie would have run a colorful campaign. But as his strategists looked at the obstacles of launching an organization and raising sufficient funds roughly three months before the Iowa caucuses, the reality began to seem more daunting. What’s more, the party’s base would have taken issue with some of Christie’s less-than-conservative positions, such as his comments that illegal immigration should not be deemed a crime and his belief in man-made global warming. The immediate beneficiary of Christie’s move is clearly Mitt Romney, who has climbed back to the top of the polls while Rick Perry has dropped, to the point that Herman Cain now ties the Texas governor for second place in a new Washington Post/ABC poll. Christie might have generated enough excitement to pose a genuine challenge to the slow-and-steady Romney in the sensible northeastern governor department. But now we’ll never know, and journalists will have to make do with the candidates who are actually running—unless they want to stoke the Sarah Palin rumors one more time.